Skiing in North America is just amazing. skiing in the Elk mountain range near Aspenmountain, stay several nights in one hut and explore the surrounding and exceptional skiing before completing the traverse to Crested Butte. mix the tour with few days of skiing in Aspen and Crested Butte, you will have a great sense of the word adventure skiing. From Colorado to Alaska and Canada. Thick snow pack, light, deep snow, endless wilderness, cozy mountain huts or lodges. design a tour with your friends and you will never stop talking about it for years to come. “This is one of the best haute route I know”. The huts are great providing all the comforts necessary. 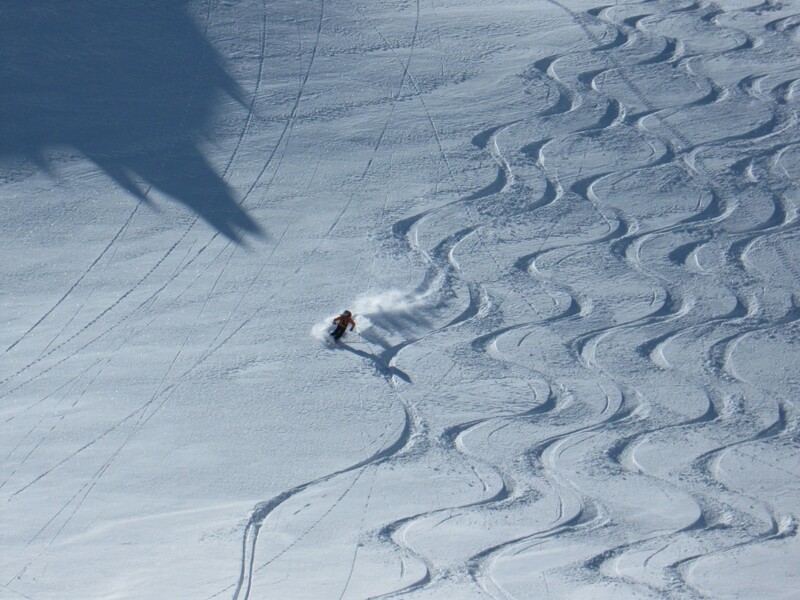 Surrounded by breathtaking views and tantalizing peaks you can be assured unforgettable ski runs. Without being too strenuous, this traverse is challenging. The skiing is exciting yet no beyond the reach of a intermediate skier. I highly recommends this tour to all back country skiers and mountaineers looking for miles of great skiing in a remote area with comfortable huts. Its exquisite timber frame construction provides 6 private bedrooms, spacious living area complete with a large dining table, a fully equipped kitchen, standard electricity that operates 24 hours a day, wireless internet and running hot and cold UV filtered water. Four of the bedrooms offer double beds, and all have at least 2-3 single beds to offer a variety of housing accommodations. At the end of your day you can go to our other building where a large wood-fired sauna, hot shower, flush toilet and large drying area await you. The terms “hut” and “cabin” don’t do justice to the amenities we provide, this is truly a lodge with all of the comforts of home, with world class skiing out your front door.